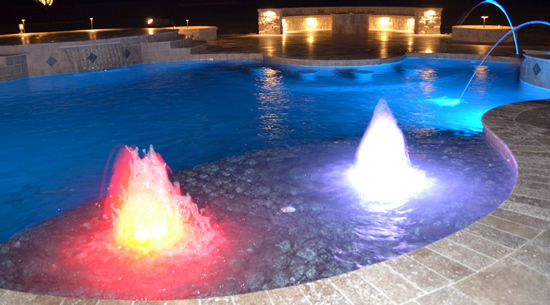 Add Color and Excitement to Any Pool and Spa wih Brilliant Wonders Lighted Bubblers which shoot streams up to 30 inches high in five vivid colors. Natural sounding cascading flume can be used alone or in groups. 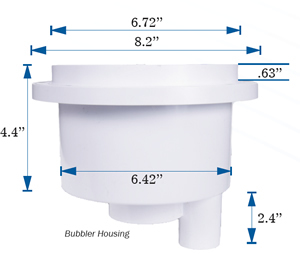 Available with a variety of attachments to enhance any pool or spa installation. 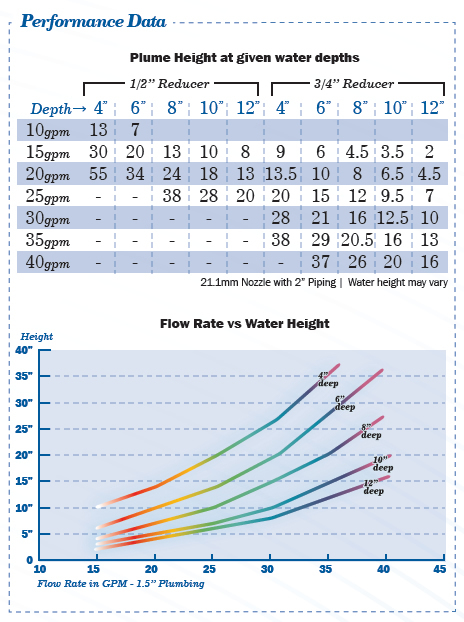 Brilliant Colors including: Red, Green, Purple, Blue, Diamond White LED light is below the water’s surface (4 to 12 inches) Completely Serviceable 12V, 20W, 1.5A, ETL Listed. No problem with the installation, this was used on new construction and my builder is installing it.